THE GOONIES, 1985. 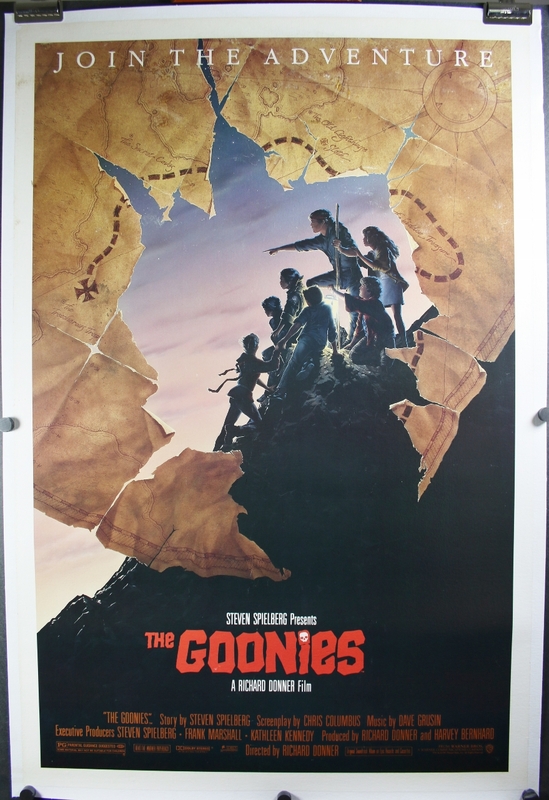 Original unfolded Treasure Map style with border 1 Sheet (27/41″) Vintage Classic Sci-Fi Fantasy Movie Theater Poster, Starring Sean Astin, Josh Brolin, Jeff Cohen, director Richard Donner and writer Steven Spielberg. 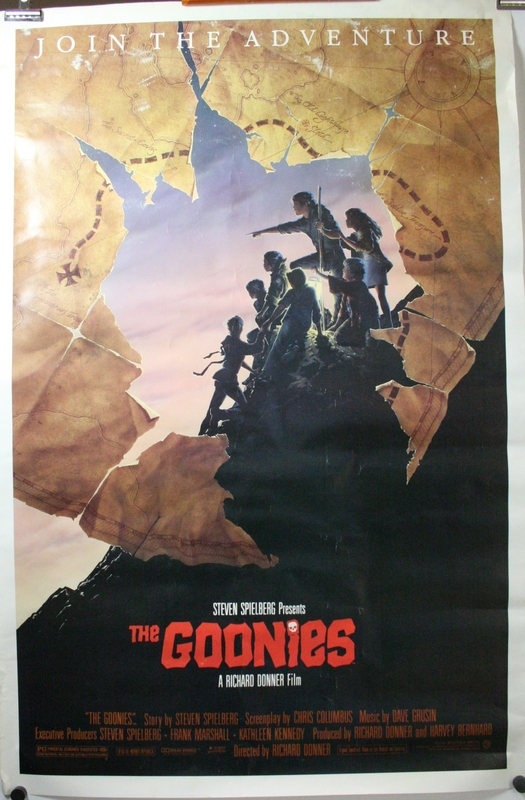 There are no excellent fakes of this poster out there that are known of; but a few poster authentication tips are: #1 Beware of the Seller and #2 Size (originals are 27/41″). This poster is in good condition but has a serious defect. There are scuff marks to the artwork; this can be seen in the top upper section of the poster over the map. These scuff marks could have fine art restoration done to cover them up. Outside of this defect the rest of the poster does not exhibit any minor defects.